The Bit.Trip series is one of the oldest and most noteworthy series in gaming, and it’s spawned a handful of unique, simple, and colorful games that mix bright colors and pixels with finger-crushing hardness. 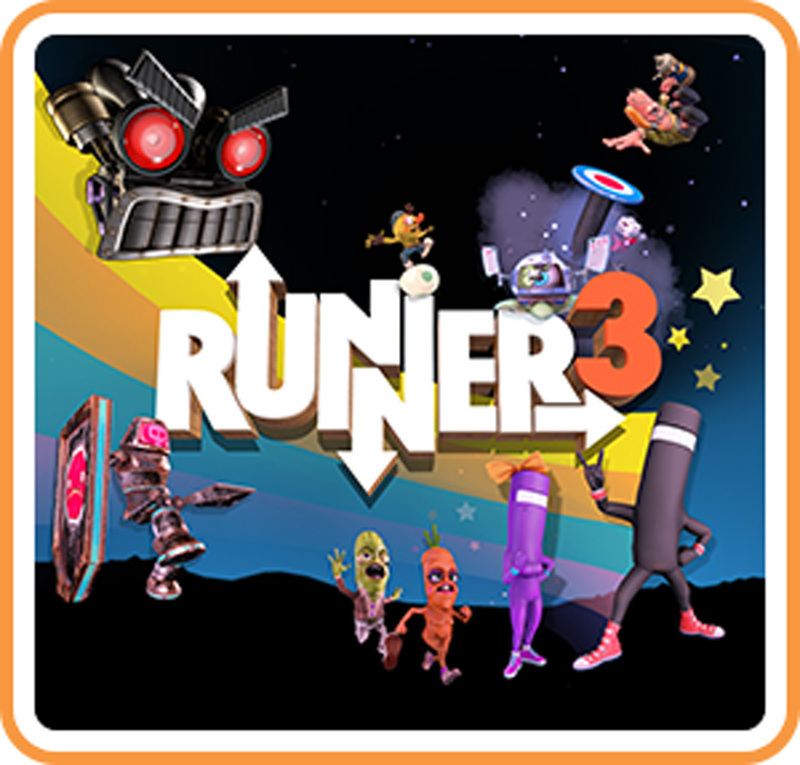 One of the titles, Bit.Trip Runner, spun off into its own series and now we have Runner3. Runner didn’t just spin off from the series to get its own titles; it developed its own identity, to the extent where it ditched the ‘bit.trip’ and just went with ‘Runner’. The original Bit.Trip Runner had the same retro lo-fi aesthetic as the other Bit.Trip games, but its sequel Runner2 traded in the pixels for Dreamworks-eque 3D graphics. The DNA is still very much the same, however. It’s a running game (like in the name) where you need to dodge obstacles to get to the end of the level. Hit one and you get sent back to the starting line. So, like most indie games, it’s not forgiving in the slightest. Virtually all the runner games have the same progression. Initially, you have a jump move that lets you hop over small obstacles. Later on, you get the crouch to duck under, the kick to break planks, and the double jump. Levels often start simply enough, but soon you’ll be contending with dozens of obstacles (often in quick succession). Thankfully, you don’t always have to worry about being transported to the beginning of the level, because there’s a checkpoint at the half-way mark. You also need to collect as many shiny items as possible. In many ways, Runner 3 keeps that formula as is. The changes that exist are not as groundbreaking, and I feel like that’s because you can’t really change around too much without fundamentally changing the structure of the game. Runner, as a series, has never been about particularly complex gameplay. Instead, the complexity comes from the levels. The sequences are crazy and chaotic by the end of it, and you need lightning-fast reflexes to get through some of them. Of course, another classic feature of Runner3 is the music. The game has always had a rhythm element, whereby collecting items emits a little musical note, and by collecting all the items you add to the fun, breezy melodies of the level. Moreover, when you collect the boomboxes, the soundtrack gets more complex, with instruments added and the energy growing. It’s all very lighthearted, and the game can really take you out of your stress zone. That is, at least, until it starts getting hard. Runner3 is a running platformer for serious fans, and the challenge level stays pretty high. If you get frustrated easily, this isn’t necessarily a good fit for you, as you’re going to get sent back to the beginning of the level quite a few times. I would say another major feature here is that the levels are even more elaborate. The game makes effective use of its 2.5D graphics to give the levels a grander sense of scale. Sometimes you’ll hop into a bi-plane and glide around, sometimes you’ll end up diving into a cave, sometimes platforms will pop up just as you jump; it’s all very animated and very lively. We also got the Switch edition of Runner3 and tried it out, and it’s essentially the same, but I will say that for both games I recommend turning off the vibration because my Switch was possessed by a violent horde of demons every time I lost. Strangely enough, you have to quit and go back to the main menu to change any settings (which can be painful as loading times are a tad bit long), but either way, I recommend it. Ultimately, if you weren’t feeling Runner2, Runner3 isn’t going to change that. It’s more or less the same structure after all. But if you do like challenging running platformers, Runner3 offers a boatload of content spread across three insane worlds with hundreds of collectibles, bonus levels, and challenges to complete. Runner3 was reviewed using a Nintendo Switch digital download code of the game provided by Choice Provisions. The game is also available on PC and coming soon to Xbox One and PlayStation 4 via digital store releases. The game was tested on a PC running Windows 10, with an 8GB NVIDIA Geforce GTX 1070 fitted on a 4th Generation Intel i7 4790 3.6Ghz CPU and topped with 16GB of RAM. We don’t discuss review scores with publishers or developers prior to the review being published (click here for more information about our review policy). Runner3 is an amazingly crafted arcade experience that’s perfect for short bursts of hair-pulling runny goodness. It sticks to the Runner formula and it doesn’t do that much to change things up, but it does push all the dials up to 11, and the result is a really layered arcade title.